Your teeth are meant to last a lifetime, but few people last their whole life without losing a tooth. Trauma, disease and growth issues can all lead to lost teeth. 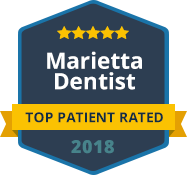 At Dental Care Center at Kennestone, we focus on preventive and proactive dental care to protect our patients’ natural teeth whenever possible. However, there are times when teeth must be removed for the oral health of our patients. If a tooth is too deeply damaged or no longer has the bone support to stay in place, it may need extraction. Our team will always look at options to save a tooth before recommending extraction. If removing the tooth is the only solution, we provide a comfortable, relaxing environment for your procedure. 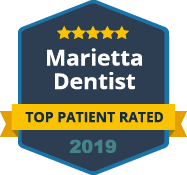 We have sedation options available for those that want a deeper level of relaxation during their tooth extraction, including oral conscious and IV sedation. Whether you have a diseased tooth that needs to be removed or wisdom teeth that are causing problems, our team at Dental Care Center at Kennestone can offer a stress-free tooth removal experience. Our dentist will explain the procedure to make you comfortable and prepare you for what to expect. Most tooth extractions are quick and simple. Single tooth extractions may only take a few minutes once the anesthesia takes effect. After the tooth or teeth are removed, we will give you detailed instructions to care for your gums while they heal. You can expect some soreness for a few days which can be treated with pain medication. When you need a tooth removed for any reason, you want an experienced, compassionate dental team on your side. Come to us at Dental Care Center at Kennestone. We offer gentle tooth extractions from an experienced dental team with sedation available. Contact our office today to schedule your appointment.